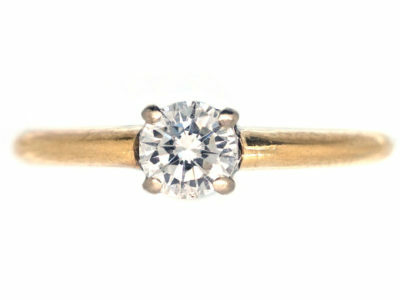 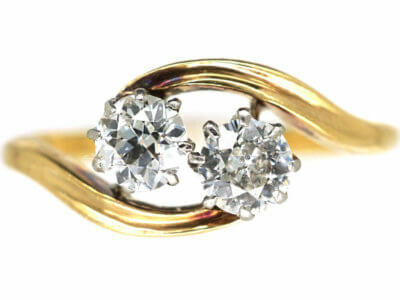 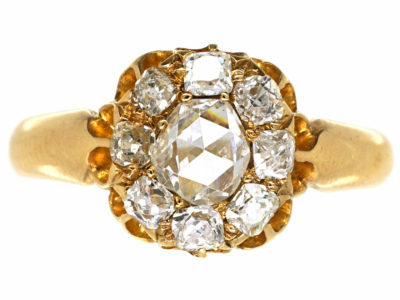 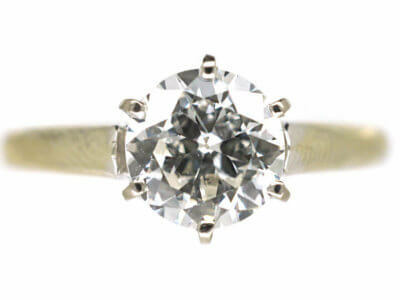 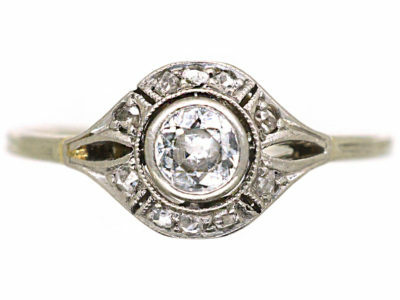 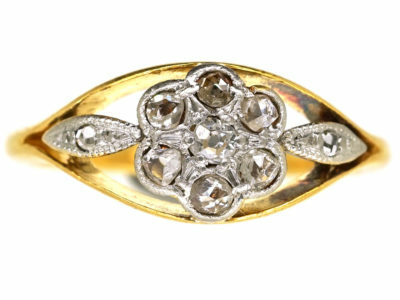 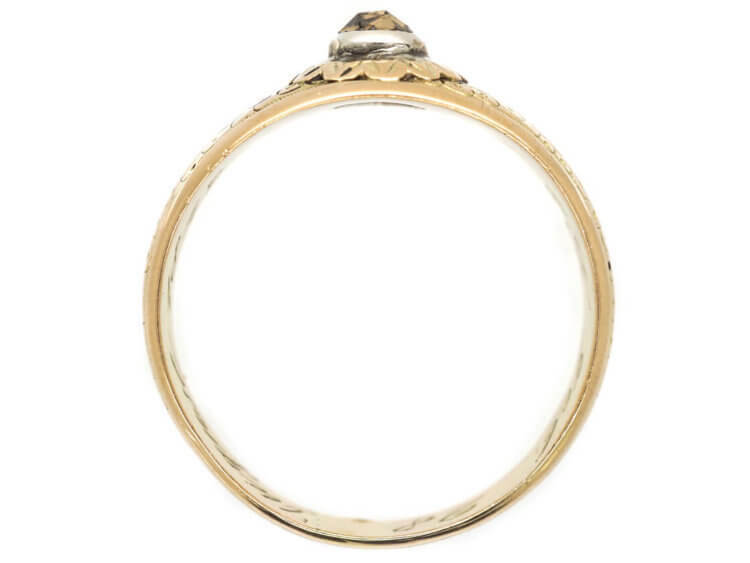 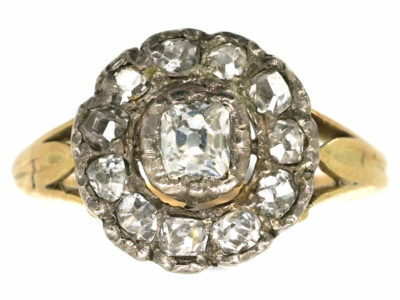 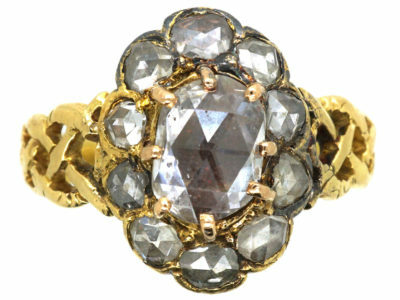 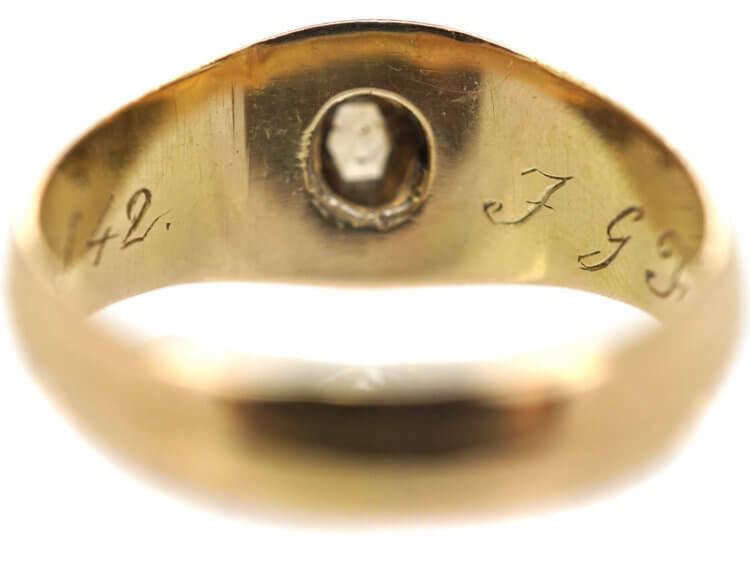 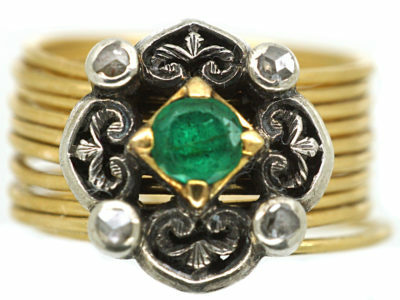 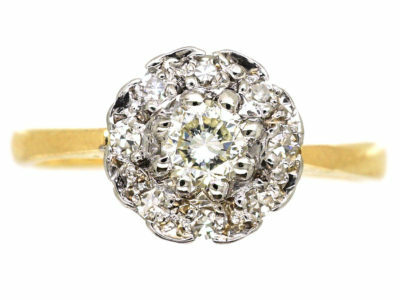 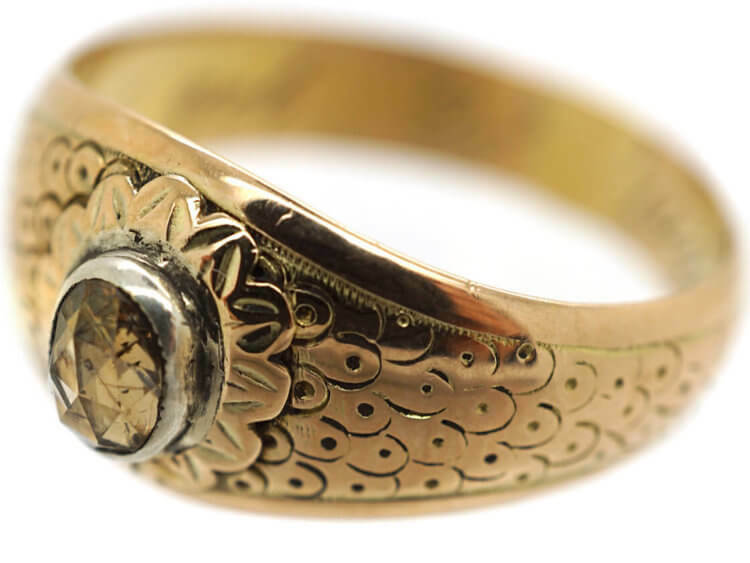 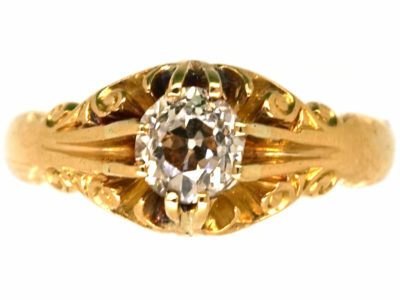 An unusual 15ct gold ring set with an oval rose diamond. 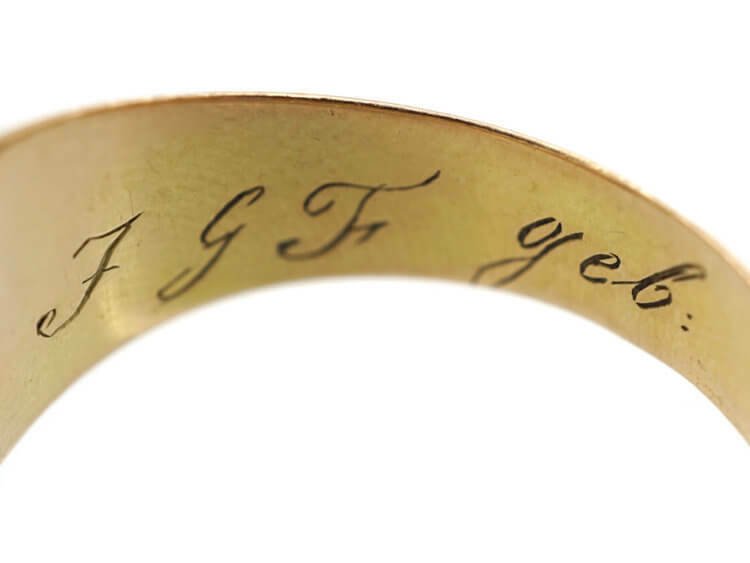 It is engraved inside with JGF geb ( ‘geb’ is short for geborene. 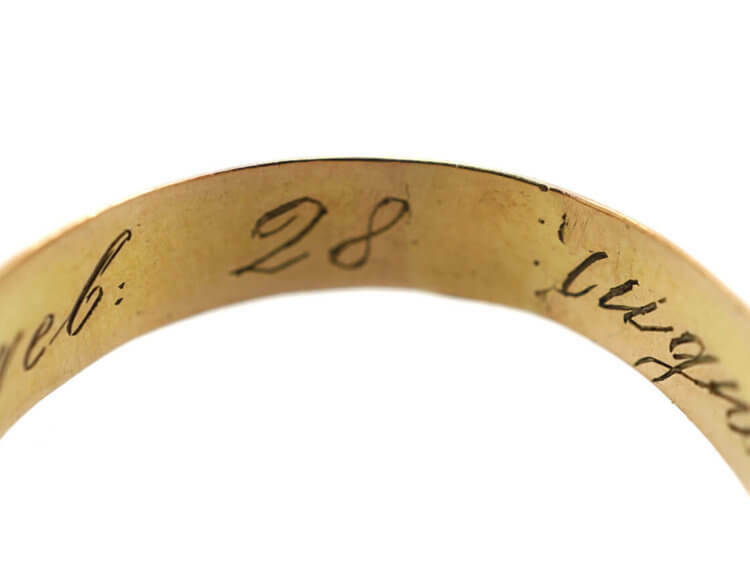 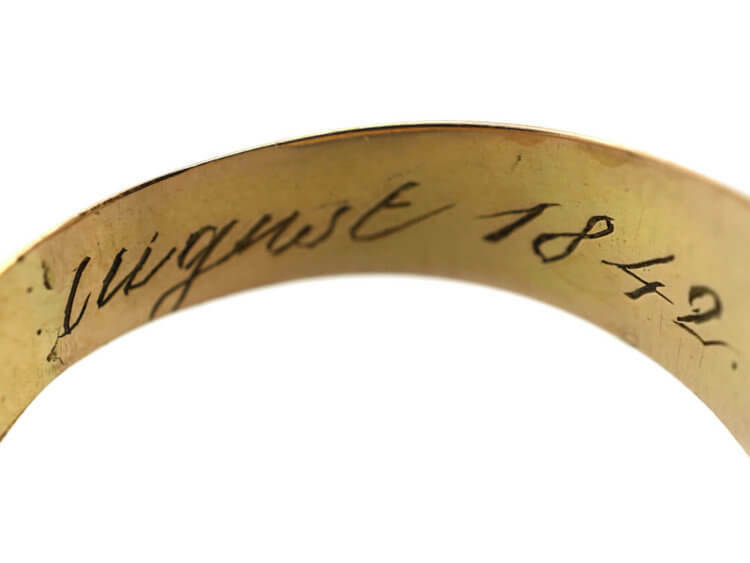 In English it would translate as ‘born’ ) 28 august 1842. 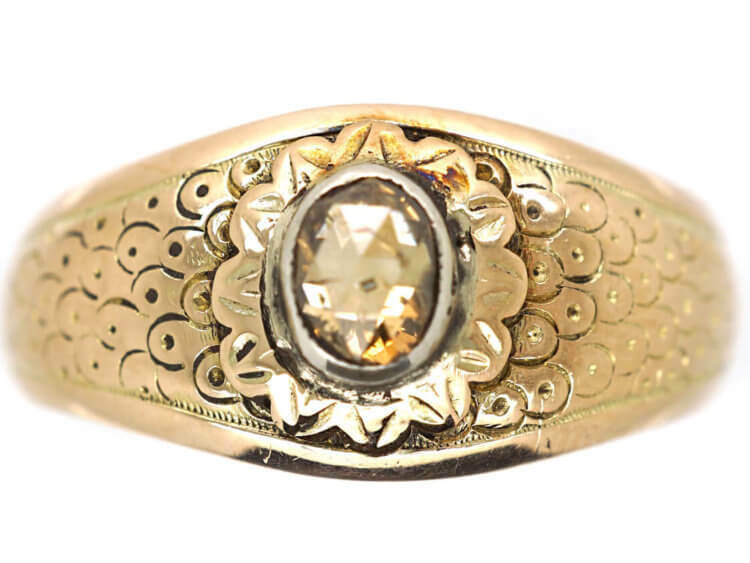 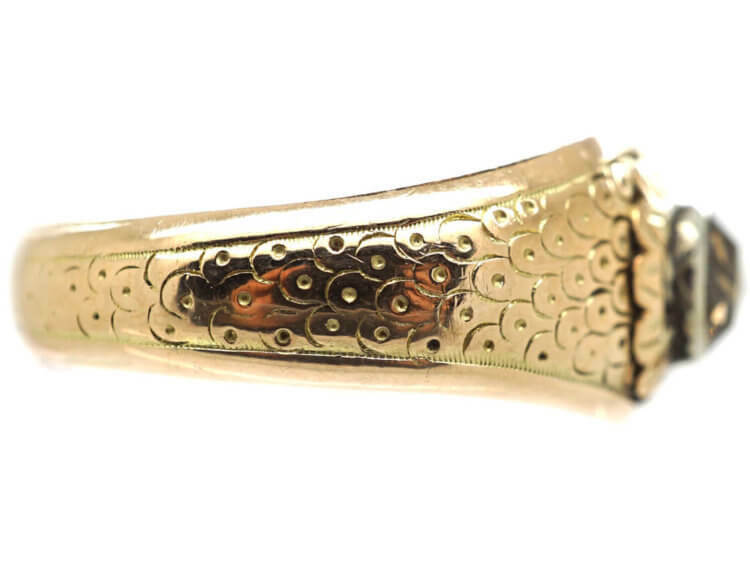 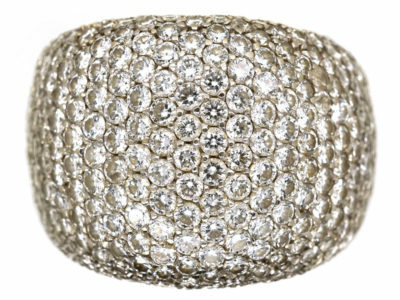 The design is lovely with a rose diamond flower in the centre surrounded by gold petals with engraved scales around the band.